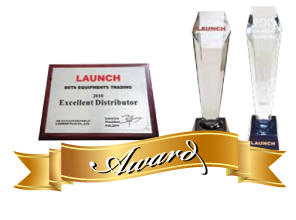 Beta Equipments Trading Sdn Bhd is an automotive equipment supplier company. Our main office is located in Seri Kembangan, Selangor, Malaysia. Established in 1998, Beta Equipments Trading Sdn Bhd started in the market as a multi-brand tyre servicing equipment dealer. The company helps the local tyre and automotive servicing industry to source the best machine and equipment that suit their needs and budget with quality technical support and after sales service. 9 & 11, Jalan Indah 2/14, Taman Universiti Indah, 43300 Seri Kembangan, Selangor, Malaysia.